It is easy to think that the benefit of learning STEM subjects are quasi-vocational; if you do maths you become an engineer, if you study biology you become a vet, and so on. This is a ‘“vertical’’ view of the landscape; a perception of the direct correlation between learning and outcome. There is also the “horizontal” plane that describes the indirect impact that these subjects have. (For more on this differentiation read our recent blog). I spoke to Leszek, one of our tutors who now studies Electronic and Information Engineering at Imperial College London, about what he thinks the benefits of STEM education are. Broadly, his answers were about the cultural and community impact of STEM and how this can benefit learning as a whole. His answers were aligned with the horizontal view. Leszek would know from experience. “I’ve been moving around so much. I lived in India for four years, then in Poland, then in Beijing, and because of that…I was always stronger in STEM subjects. The language, history, and geography change…whereas maths and science stay the same”. The universal nature of these subjects enabled him to slot in to each new environment. This is why Leszek has grown up loving science and maths and why he would encourage people to learn STEM subjects too. There are also community benefits to the application of STEM skills. Leszek recently made an Imperial college fantasy football app and through this app the Imperial football society can connect. “We have 200 players, seven teams, and 7 captains. Just like the regular fantasy app you choose players, and based on how they perform you get points. This is by far the most complex app I have created. It requires management of databases, and connections of servers. It works over the internet which is much harder than something that just saves information to your phone.” It addresses both social and technological challenges. Making this app was also a way to build lasting connections with Fire Tech tutors. 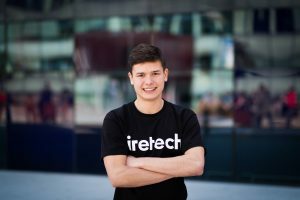 “Last year whilst teaching at Fire Tech…I was able to get help” as like-minded experts were able to point Leszek towards the resources to develop his product further. “I also got a scholarship for a coding course in Oxford. And because of that I learnt how to code in Java and made a web app”. “The [Fire Tech] courses are built in a way that correlates fun with learning”. Youngsters feel encouraged because they recognise the need to learn these subjects, but also know that they can be fun and interesting. It’s more than just learning. Leszek laments, “when I was their age I wished there was something like Fire Tech where I could actually learn what they are learning now. I would have been way ahead. 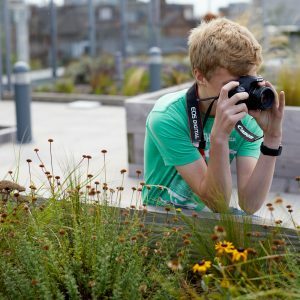 I have never actually had proper programming courses in my school, which I’m really sad about”. He taught himself much of his initial knowledge after getting frustrated that his phone was getting slower. The future is exciting for the next generation. The intuition that children show with technology is aligned with their imagination and creativity, so the potential results will be amazing. STEM subjects benefit young people in many different areas of life, be it cultural, community and learning as a whole. Like Leszek, we believe it’s time to move away from the vertical view of STEM, and consider the horizontal benefits of these subjects.